Bright splashes of color and vibrant designs characterize traditional Polish handicrafts.These include folk art using a variety of materials, such as paper, wood, clay and even eggs. Some of these crafts are still practiced in the 21st century and can be purchased in ethnic stores in the U.S. and online at websites specializing in Polish cultural products. "Wycinanki" (pronounced vee-chee-non-kee) describes a traditional Polish paper cutting craft, which dates back to the19th century, when the ancient art of Chinese paper cutting spread to Europe. Paper cutting in Poland includes two design styles. "Kurpie" is symmetrical, cut from a single piece of folded colored paper, usually depicting spruce trees and birds. Designs from Poland's Lowicz district are characterized by many layers of bright colored paper cut in a more free-form fashion. Handcrafted boxes, carved from native Linden wood from the Tatra mountain region of Poland, are traditional crafts that utilize wood carving, burning and staining techniques. Many are adorned with brass and copper inlays and painted with intricate brushes. Some boxes illustrate Polish culture with images of the "Lady of Czestochowa," known as the "Black Madonna" as well as mountain flowers. Others reflect more universal elements with carved rosettes, hearts, crosses and love birds. A range of sizes makes these boxes suitable for a variety of uses. Eggs are exchanged among family members in Poland during the Easter celebration to signify friendship and love. Polish women wax and dye these eggs before the holiday, utilizing a craft known as Pisanki (or Pysanki). They use a hollow metal tool known as a "kistka," to draw wax designs onto eggs. The kistka is filled with wax and has a pin-sized head to control the flow. Similar to traditional batik and the tjanting tool, the wax creates a resist when designs are painted on with dyes. 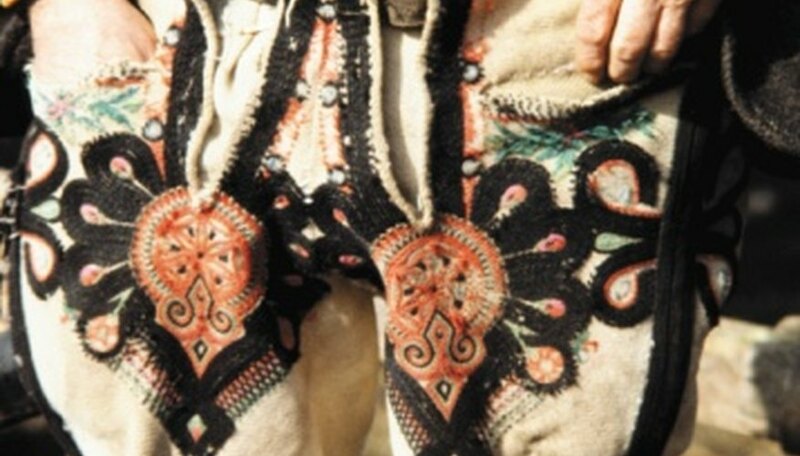 Pisanki has become a popular traditional Polish craft practiced outside of Poland. Pottery is an early Polish craft begun without lathes or intricate machinery. Boleslawiec pottery, unlike many pieces of European stoneware, contains no lead and can be used for cooking and tableware. Boleslawiec pottery dates back to the 16th century in the Silesia region of the country, which is abundant with rich minerals, including clay. Bright colored painting on pottery is characteristic of the Boleslawiec style. Decorative elements are applied to the surface of the pottery using a traditional " punch" technique. A variety of paint soaked stamps are utilized for a single piece of pottery using this design method.